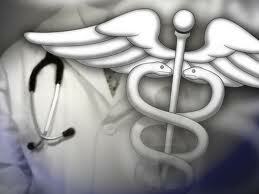 Stocks increased Tuesday, which was headed by the healthcare sector. The rally came after the government announced its decision on payment rates. Investors also felt optimistic after the release of the report on factory orders that confirmed the economy is improving at a steady rate. The Standard & Poor’s 500 Index closed at another record high but it fell short of reaching its all-time intraday high of 1,576.09. The Dow also reached another record high. The US government announced it would drop the plans to slash payments for private Medicare Advantage insurers. It said that it would approve a 3.3 percent increase instead. The news helped shares of health insurers, including Humana that gets around two-thirds of its business from Medicare Advantage. Humana’s stock increased 5.5 percent to $79.11. It was among the largest gainers on the S&P 500. UnitedHealth Group increased 4.7 percent to $61.74. The healthcare sector in the S&P 500 went up 1.4 percent. The improving US data helped stocks rally since the beginning of 2013. US data showed factory orders in February increased 3 percent, which was above economists’ estimated. It came after a weak reading on US manufacturing last Monday that resulted to a pullback in stocks. At present, the S&P 500 is up 10.1 percent since the start of 2013. The Dow Jones Industrial average increased 89.16 points for the day to 14,662.01. The S&P 500 Index went up 8.08 points to 1,570.25. The Nasdaq Composite Index increased 15.69 points to 3,254.86. The S&P 500 overcame its 2007 closing record last Thursday while the Dow first broke its 2007 record last March 5. Stocks managed to pare gains late in the session. This made investors wonder whether the market can sustain its rally. Healthcare sector stocks remained cheap compared to the overall market. Humana has a market cap of around $11.9 billion with a forward price-to-earnings ratio of 9.4, which is under the S&P P/E ratio of around 16.5. Huawei Looks to Asia and Europe for Growth, not U.S.